I received an email yesterday from a student who had decided to become a lawyer, has signed up to do their graduate diploma of law and legal practice course and was wondering what to do next. She said she was feeling a bit overwhelmed as to what she ought to be doing in the meantime. Apart from the obvious advice that we always give, which is to make sure you really do want to be a lawyer before signing up to do these courses and spending over £12,000, that is to get some experience in exactly what it is a solicitor does in practice. However now is the time to be thinking about what you ought to be thinking, so the same advice. The first step I advise everyone to take when considering a legal career is to go and get experience in exactly what it is a solicitor does in practice, and how their work fits in with everyone else’s. For example, you do not need to necessarily go to a solicitors firm and get work experience (which is very hard to get these days anyway) as you could simply go to your local court and see some law in practice anyway. There are lots of different courts you can go and experience law in. The first one, of course, is the Crown Court, which will contain specimens of barrister and solicitor standing before a grumpy judge, dealing mostly with criminal cases. Crown Courts are very easy to get into, and you can usually wonder about without anyone asking you any questions or terrifying you (every law student is terrified of anything to do with law in practice and I recall only too well how frightening courts and law firms are). If you’re feeling particularly brave, you could also go to your local employment tribunal offices and go and watch an employment tribunal. This does involve speaking to someone as it is a good idea to actually phone the tribunal first and find out when they have any full hearings anticipated as opposed to adjournments or short hearings. Incidentally the same applies to Crown Courts. If you go to your local Crown Court and speak to one of the ushers (they usually wear a black gown and hang around outside courts with a clipboard), they should be able to point you in the right direction for an interesting case involving a trial or sentencing hearing. You can also try the Magistrates Court. The Magistrates Court are not so interesting, but if you are thinking of being a solicitor and dealing with criminal law, for example, this is where you will spend most of your working time when at court. It is a good idea to go and sit and experience what a morning at the Magistrates Court is like, as it can be quite soul destroying in its monotony. Other options include going to look at the local land registry office and this will involve telephoning land registry and asking if you can either get a day’s work experience or a week or just have a look round and see what work they do or speak to your local authority and ask if you can visit the legal department for the day. Crown Prosecution Service have always been very helpful when it comes to work experience, and are happy for you to spend a week shadowing the prosecutors to see what work they do. On the commercial side, if you were thinking of earning money and see what commercial lawyers do, this is slightly harder in that a lot of the law firms have structured work experience placements that you have to apply for and be lucky enough to receive. There are opportunities to go and experience some of the work though. If you are near London or one of the areas with a commercial court (for example, I think Nottingham has one), you could go and see the workings of the litigation side and experience a bit of commercial litigation for a morning. I suspect on the whole this would be very boring, but will give you a good indication of the level of intellect that is usually required to do this type of law. Also a significant amount of patience, I suspect would assist as some of it is mind numbingly boring. Other options include speaking to any large PLCs near your home (for example, Proctor and Gamble or Ford Motors) and asking if you can go and spend a few days in their legal department to see what work they do. It will give you commercial experience and would not involve a work experience placement which is what you will need to get if you are looking at law firm. All of this is fundamentally important, and every time I speak to anyone about getting into law, I can go on for hours about the need for work experience. Work experience is the spark on your CV that makes the difference between you and the vast majority of your colleagues on your various courses. The vast majority of people do not get experience and as a result are unable to show anything different on their CV when they apply for jobs. If the lawyer simply has their academic background to look at as evidence that the person has thought very carefully about where they want to work and know exactly what it is. So if you are feeling completely overwhelmed in one way that is good because it may spur you into some sort of action to get experience. Apart from getting legal experience another good thing to do if you are starting law from scratch at post graduate level is to go and buy the GCSE and A-level text books. Learn the terminology and in particular the structure of the courts and the difference between a barrister and a solicitor. It is amazing how many LPC graduates do not know that a Crown Court is higher than a Magistrates Court or the High Court is lower than the Court of Appeal. In fact it is frightening to think that someone could have gone through all that training and spent all that money only to not know the very basic things about the English legal system. The legal practice course and the graduate diploma of law were not intended to explain the basics to you. 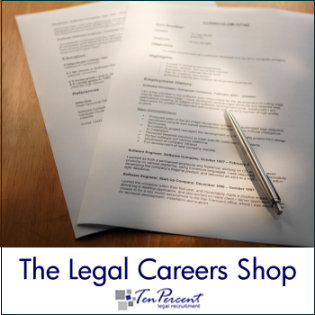 You must go and find these out yourselves, and this particular bit of advice coupled with the requirement to get work experience are the two main pieces of advice that I could give anyone planning to set out a career in law. In the current climate with lots of conveyancing and property solicitors currently out of work, law firms could perhaps try the techniques used by the BBC in the recent television programme “The Apprentice”. It would be quite simple to do this and perhaps a law firm could try it out and let me know how they got on. Firstly you put an advert for a conveyancing solicitor somewhere prominent and receive hundreds of applications. You sift these down to perhaps ten and ask them all to come to a selection day at your offices. Find a time when your wills and probate partner is available as it is often these particular characters who are the grumpiest and most awkward in a law firm, particularly when interviewing potential employees. They also tend to fancy themselves as advocates as they don’t get much experience of the non-contentious side. You can have perhaps five tasks in the morning and at the end of each one, you could fire one of the potential applicants. The first task could be to put a partner in the room with the applicants and ask them to interview him or her as if they were a client and offer legal advice. At the end of the exercise, the partner could report back to you on the performance of each one of the applicants, then call the applicants into a room to see what they thought of their relative performances. The wills and probate partner could then have the pleasure of pointing his finger at one of them and tell them they’re not hired or fired. The next task could be to give the candidates a load of children’s play bricks for them to construct a single arch bridge and a house brick placed upon the middle with the structure supporting it. You could nominate a team leader and give them ten minutes to do this and again at the end of this task, fire one of them, leaving you eight candidates to consider. The next task could be perhaps a drama. You ask the applicants to act out a scene from a famous film and nominate the leading two people that you want to have the parts with the others supporting. Again at the end of it you could fire one of the least enthusiastic. Of the seven remaining, then hand them a sheet with lots of different scenarios on and ask them to pick one before presenting the scenario in a concise form in 30 seconds. You could assess each performance and then fire the one you didn’t like. The final task could be to take the applicants down the local high street, give them £10 and get them to come back with more money than they set off with. Give them 30 minutes and wait for the response. I suspect it will be quite interesting to see who has nothing and to see what efforts are made to make more money. I suspect no-one would make more money but the applicant would not know this. You could then fire two of the least performing candidates. This now leaves you five candidates and they could be spread about the office and interviewed by different partners with different agendas. You could give on partner the job of asking standard questions, like “Where do you see yourselves in five years time?”, and another partner could interview and try and cross-examine them on their CV to see if there are any weaknesses there, the third partner could interview of technical issues relating to their work, the fourth partner could ask them to open a file and demonstrations as to how they would handle certain scenarios from a legal perspective, the fifth partner could have a chat with them to see if they shared the same sense of humour. At the end of this, you should have a pretty good indication as to who your ideal candidate is, and I would imagine that a law firm would take a lot of enjoyment out of undertaking this task as I am sure the candidates would too (apart from the first two who would not have been with you for very long). How does this all fit into employment legislation? I’m not 100 percent sure, but I can’t see any reason why such a selection process does not comply with the various regulations on equal opportunities. If it was to work for Alan Sugar, although I have read articles by former “Apprentice” stars that hardly ever saw him and the whole thing is fudged into a television programme and does not really reflect reality. If you think about trying such a technique out, I would be very interested to hear of the results and what the people who went through the process thought. It’s slightly different to an assessment day. It would certainly only be used having lots of applicants, the legal profession before the recent slump in conveyancing did not happen very often and some firms were lucky to get one applicant for a particular job. Jonathan Fagan is Managing Director of Ten Percent. He regularly commentates and writes on the state of the legal profession. He can be contacted on cv@ten-percent.co.uk . I thought it may be worth adding a note to the blog about conveyancing in London because we are getting a lot of enquiries and a lot of worried candidates at present. I estimate that at present we are getting about ten new CVs a day from conveyancing lawyers in and around London looking for work. Bearing in mind it takes us in the region of about 20 minutes to process each application, register the candidate and add them to our databases, we’re starting to have to introduce a backlog to conveyancers. At present, there are not the vacancies out there to justify the work being put in. I make no apology for this as at the end of the day, Ten Percent is a commercial organisation and with the market getting very tight we have to focus resources on specific areas and conveyancing in London is not one of them. As a result of this, some candidates will find that there is a considerable delay before they get an acknowledgement off us to say that we have registered them. At present, the backlog is about two weeks. The delay in responding is probably not far off the same. We are constantly in touch with anyone who has a conveyancing post registered with us in the London area and every time somebody indicates they have filled one or decided not to recruit, we do knock the vacancy off the database. However, there are still a good number on there where the firms are not telling us that they have filled them and in fact, some are indicating that they would rather keep them on and see if anyone good comes along with a following or a particular skill that they are interested in. This does mean that our website has a lot of vacancies on there that are probably not suitable for anyone newly qualified or between 0 to three years without a following. If this applies to you, I apologise that our company is too small to process so many CVs, but we have always prided ourselves on a personal service and we aim to give this to every candidate who registers with us who we think we are going to be able to help. What has happened in the past is that these dips have resulted in significant numbers of candidates registering, when the market has picked up we have then been a position to be able to assist further. I hope this will be the same on this occasion and conveyancing once again starts to pick up within a few months. We had a call yesterday from a newly qualified employment solicitor. We had sent her a job that had come in a few days ago for an employment lawyer. These days we try to avoid giving age discrimination for discrimination and specify a specific range. As a result, I had sent this post out to a newly qualified but phoned up to check that there hadn’t been a printing mistake in the email. The salary range given was about £30,000 to £35,000 but the candidate wanted to know why that was so when the recommended salary levels for an newly qualified solicitor in a central London practice were £40,000 upwards. I explained to her that the salary given was actually for somebody two to four years qualified, if not higher and was also on a part time basis so would be pro-rata down even further. The solicitor thought that this was ridiculous and questioned whether anyone would actually apply for such a post. I explained that I had had over 20 responses to the vacancy email and that the reason for her surprise was because she lived in a different world. I realised afterwards that this might have been a little rude, but it is very true. In the legal profession there are two separate worlds. World number one is the legal profession that exists on the high street and in commercial practices either recently established or away from the big corporate clients dealt with by the City firms. World number two is the corporate firms of the City of London and the larger regional practices. Both worlds co-exist at the same time but occasionally vacancies such as employment cross over between the two and these anomalies come into play. A salary review she had probably seen for newly qualifieds in London was probably very accurate if she was going to work for a big London firm. It would be wholly inaccurate if it was for a newly qualified working on the high street. I explained this to the candidate who I am not sure believed me. She could not understand how a three year qualified solicitor could earn £35,000 and be happy with it. I explained that I did not condone the salaries that were paid by some firms as some work truly shocking, but it really depends on the billing levels of a particular firm and department. If a newly qualified employment solicitor was going to generate £300,000 in bills, then clearly their salary would be closer to the £100,000 mark. However, if a newly qualified was going to only bill £100,000 per year, then their salary would definitely be around the £30,000 if not lower. It is a harsh reality that often phases such candidates who perhaps are unable to find a post with one of the firms paying particularly well and find out that the drop is very dramatic between that and the rest of the world. That it is just not feasible for them to consider. This candidate in fact would be earning more as a trainee solicitor than she would if she took this particular post. I should add that even if she had gone for this post that I’m almost certain the firm would have rejected her for lack of experience and this is quite an interesting situation to be in. She would have been competing against two to four year qualified solicitors who would not have made an issue of the salary as they were keen on the area and the type of law being dealt with. Jonathan Fagan is Managing Director of www.ten-percent.co.uk (Legal Recruitment Consultants in the UK and internationally including off-shore). You can contact Jonathan at cv@ten-percent.co.uk .